I love how the body of Christ works. When the bible says that the Lord sets every member of the body as he sees fit or as it pleases him (1 Cor. 12:18), I truly believe that and I feel I saw the body of Christ in action yesterday. Yesterday I went to an amazing conference called "Unstuck" which I will be sharing an event recap on the blog tomorrow. The event was so amazing. I heard so much great knowledge from experts in the areas of finance, image and relationships but again I will share more on that later. I'm always shocked to see how God will move in my life when I least expect it. After the conference I had an amazing encounter with one sister who really encouraged and uplifted me in ways I didn't know I needed. This particular woman spoke words of encouragement to an area I had been really low in lately. She spoke to my beauty. She called me beautiful. She told me that every part of me was beautiful and she glorified God for how he made me. She looked me in my eyes and told me I was beautiful and I received it completely. I've heard it all before but this time something took root deep in my heart. Yes I know I am a beautiful girl. I'm not blind. I see it. However lately I struggled in this area of really believing it and walking in confidence in this area. I've had so much pain in my past which I attributed to my beauty. Her words ministered to a place in my heart so deep. Then after affirming my beauty she spoke to me about the power of gratitude and living in the moment. I can't share all of it but needless to say I was brought to tears. The very things she talked about were things I wanted to learn and had been praying that God would reveal to me. As I shared the other day in my post here, although the truth about the journey is that it gets tough I am so glad that the God I serve is faithful to meet my needs and give me exactly what I need to make it through every journey I come across in life. 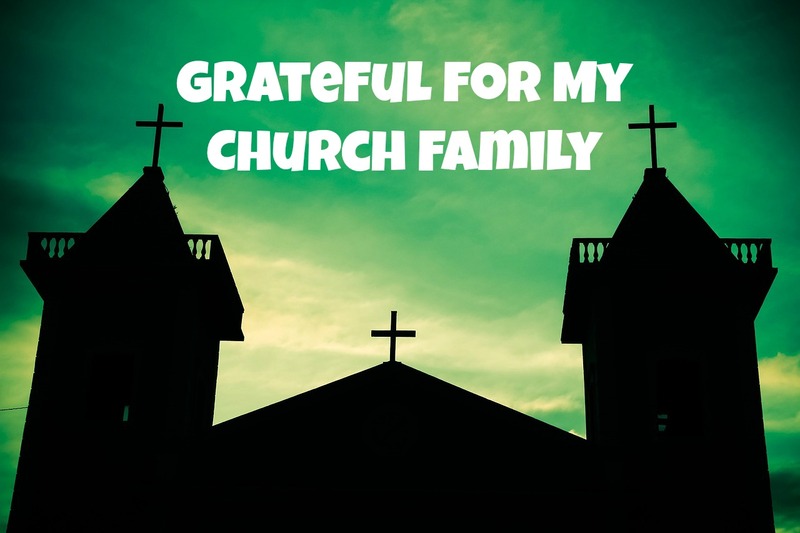 I'm grateful for my church family because they are truly amazing people. Although this is mostly directly to my home church, H.O.P.E. 's House since they have really poured into me over the last 9 years of my life. I'm so much better because of the people I serve alongside. I have to give honor to my pastors Charles and Andrea Humphrey because they are the bomb dot com. They have blessed me so much with their teachings and with the example they set with their lives. I am also grateful for the body of Christ at large. Some many amazing people worldwide of different colors and different tongues. We are the church. It's not a building it's us. Everyone of us who professes the name of Jesus Christ. We are the church. So family I'm grateful for you too. I hope you are enjoying your Sunday evening. I'm about to cook dinner and then prepare for my 4 day work week. Woot Woot! Please leave me a comment sharing what you are grateful for and as always thanks for reading! !